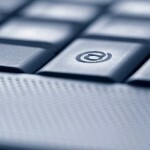 User accounts allow Microsoft Windows to differentiate between computer users in order to determine the rights they should have. Each user account is assigned its own location on the hard disk for file storage. There is a collection of settings pertaining to each account that is stored in the computer’s Registry. Windows SteadyState is a free, discontinued Microsoft product that can still be downloaded from many online sources. It allows users to make changes to how their computer behaves as well as how it interacts with other computers on a network. For example, Windows SteadyState allows users to limit a specific user account to only function at certain intervals, allowing users to prevent their children and other individuals from accessing the computer at inappropriate times. SteadyState also allows the user to dictate rules concerning Internet use. These rules govern sites that can be visited, sites that cannot be visited, and whether the Internet can be accessed at all on a specific user account. Sometimes an administrator may wish to limit all other accounts except for his/her own user account. This can be done by setting all other user accounts to Guest Account and then using third party software to restrict the sites and programs that Guest accounts have access to. For example, both FreshUI and TweakUI limit access to the Internet and other software on all Guest accounts. 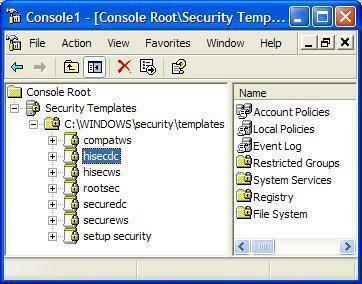 Windows XP User Restrictions, found in the Microsoft Shared Computer Toolkit, allows users to restrict an individual user account by placing limitations on how software is run and which programs can and cannot be run. User Restrictions allow the user to modify the Start Menu, operating system, Microsoft Office, and Internet Explorer. While User Restrictions cannot control other browsers besides Internet Explorer, it can block other browsers from being run altogether and control the web pages that Internet Explorer is allowed to access. How to limit a user account in Windows XP to avoid it to establish ANY internet connections, (without using third party softwares / anti-spywares / firewall) ? I wanna create a user account for using some kind of application that could potentially connect to a remote server and send my computer information in background (a keylogger for example). The goal here is to create an account with restricted access to Network Adapter/Internet, so this user can run any applications, but if this application tries to use the network adapter, then Windows blocks it. * Just remembering: without using 3rd party tools. Hi.I ave a problem here.I have a PC with it’s har disk has 3 portion.There is 2 of us using that PC,so I need to creat an acount and limit it just to one portion of my hard disk.I also don’t want the other account the ability to install or uninstall any program. To limit it to just one partition in Windows XP follow these instructions and in Windows 7 follow this. 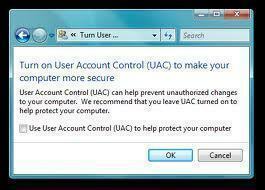 To make that account unable to install programs make sure it is a “Restricted User” in Windows XP. In Windows 7 any Standard user is limited, that is, needs an admin password to install programs, so just make sure it’s Standard, not Administrator. 183 queries in 0.284 seconds.